Jake's Flat Stanley Has a Great Series of Adventures! Farm & City! - JP loves LIFE! When I wrote about a nephew’s Flat Stanley project a week or two ago, I wasn’t really sure what to expect. I hoped a couple of the folks I’d gotten to know through social media would help Jake learn more about their homes, farms, cities, etc. I am still stunned by the reception Flat Stanley has received in several states. The finished book is on its way to Jake’s class (his mom received it and said “it is SO AWESOME!! !”) and I have every expectation that he, his classmates & his teacher Ms. Rorie will be astonished at how much information Flat Stanley is bringing back! Because several friends took a lot of time and effort to pull together stories of Stanley’s visit with them, I thought I would share those stories here on my blog. I will be posting them over the next week or two (maybe even a month there are so many!) You can find them by searching for “Flat Stanley” in the above right. Jecca Ostrander who is a RanchWife4Life and works with Box O Quarterhorses in northwest Nebraska took Flat Stanley along on chores with her son Stetson one day. She also took time to teach him about the Sand Hills and the Ogallala aquifer! Lots of photos on this one to help my nephew get the feel of a very different area of the country! Debbie Lyons-Blythe lives on a Kansas cattle ranch not too far from Manhattan, Kansas. She took Stanley along one day as she was doing chores on her ranch. Doing water chores with such cold weather was made a bit easier with some sunshine. He learned about taking care of Debbie’s cattle (and soon you’ll see more ranch adventures). 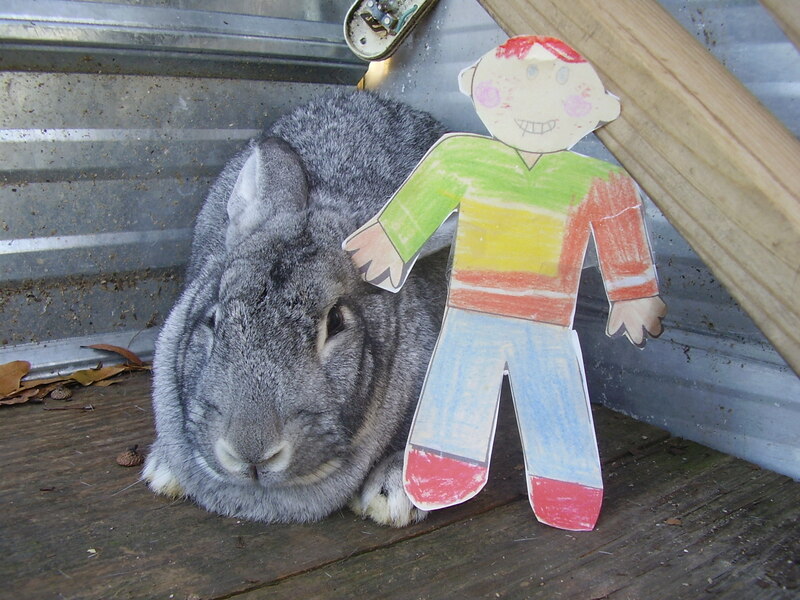 There are a lot of other Flat Stanley adventures people sent in for Jake to enjoy! In fact, he ended up with a 60-page book of photos & stories! It will take quite a while for him to make his way through the whole book and all along the way, he will learn about all sorts of people, places and things!